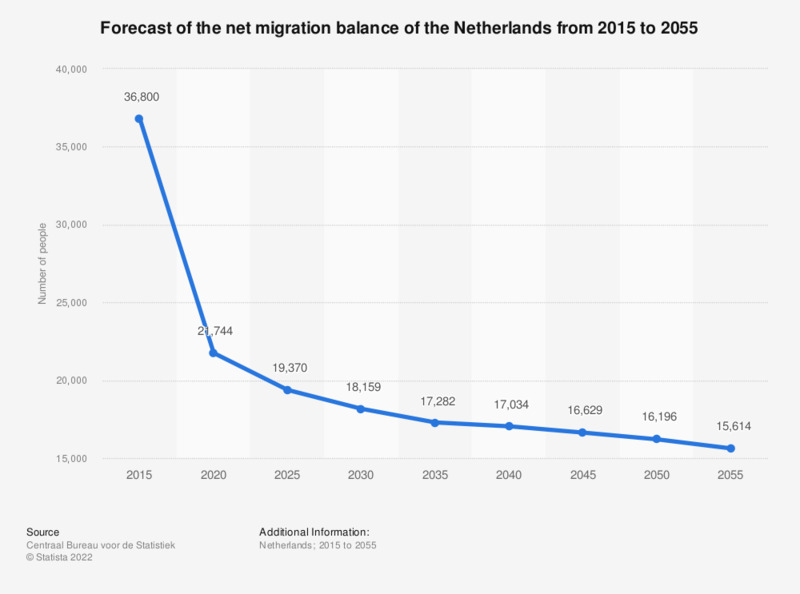 This statistic shows a forecast of the net migration balance of the Netherlands from 2015 to 2055. It reveals that a positive migration balance is expected, meaning that more immigrants are predicted to enter the country than emigrants leave the country between 2015 and 2055. It also shows that the expected surplus is declining, from 36,800 in 2015 to 15,600 in 2055. Throughout the period however the net migration balance remains positive. The net migration is the sum of the immigration minus the emigration.